This prototype appears to be very close the final release. About the only differences I can find are in the colors. 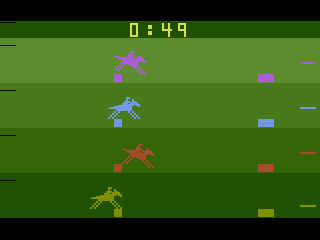 The horse colors are different. 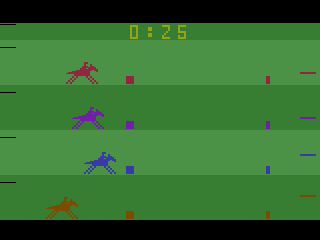 The prototype uses Red, Purple, Blue, and Brown for the horses, while the final release used Purple, Light Blue, Orange, and Yellow. All the colors are much darker. The background colors are slighty different shades of green.